Floral & Hardy is more than a store – we offer you a rare and unique home and garden experience! 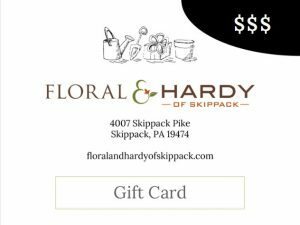 Floral and Hardy of Skippack is a family owned garden center and gift shop located in historic Skippack Village just 20 miles northwest of Philadelphia. Lowell and Patricia Steinberg own and operate the garden center along with Amy and Chris. 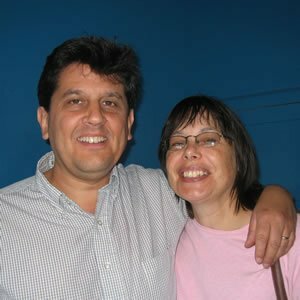 After decades of corporate life Lowell decided a change was necessary and purchased the business from its original owner. With few changes Floral and Hardy continues to offer unusual annuals and perennials along with herbs and vegetables. Lowell and Pat live in Glenside, Pa., with children Sarah and Dan (seen climbing back to the Skyline Drive) and a house full of dogs and cats. 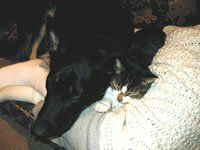 In fact, on many days you’ll be greeted by Chase (here snuggling with his favorite cat, Nipper) when you come to the shop. 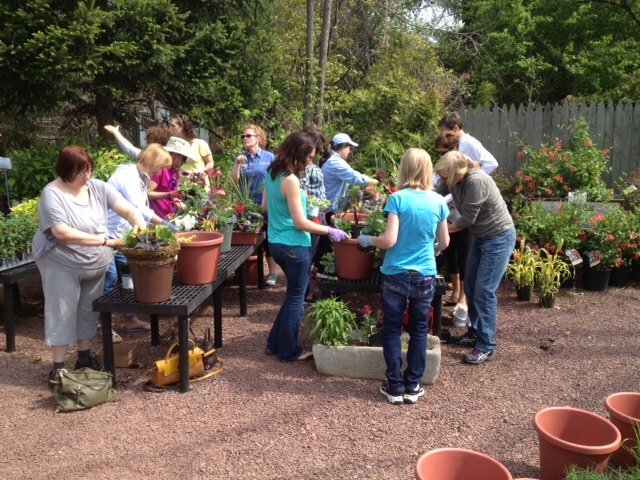 In a world of Wal-Marts, Giants, and superstores where employees often pass you by without so much as a nod, the staff at Floral and Hardy of Skippack makes it a point to welcome each visitor personally. Customer service is more than a goal here – it is a reality, accompanied with a smile and a warm handshake. Simply walk into Floral and Hardy of Skippack and you feel your cares immediately slipping away. The interior of the building captivates you with its rustic charm and beautifully arranged selections, and outside a stunning display of annuals and perennials makes you feel more like you are in a connoisseur’s garden than a plant nursery. During the spring and summer months, you can wander through the outdoor garden area and choose from a huge selection of quality plants. In addition to the more commonly known annuals and perennials, we offer unusual varieties and cultivars that add an element of the unexpected and the unique to your garden beds. Experienced staff is always on hand to answer questions about growth habits, bloom time, and plant care so you can create a healthy, vigorous garden panorama. Plus, we will create colorful containers for your patio or garden using your own container or one from our wide selection. Exceptional annuals and perennials are only the beginning of what Floral & Hardy has to offer. Three hundred sixty-five days a year, you will find a veritable “garden of delights” inside. 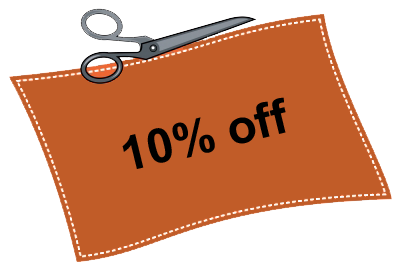 Items include unique jewelry, gifts for every occasion, handcrafted pottery, home décor, melodic wind chimes, sculptures for indoors or out, silk flowers, and so much more! at Christmas, decorated by a professional designer. Every season becomes spectacular with a visit to Floral & Hardy! We welcome you to Floral & Hardy! With unique treasures for you, your home, and your garden, you’re sure to leave with a smile!